Hi friends and welcome to this week’s Thrifty Thursday, where I share my weekly thrift store/ estate sale/ flea market finds. 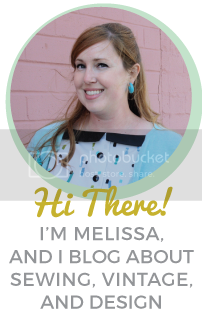 I can’t believe this is my 50th Thrifty Thursday post! Time flies when you’re having fun! (If you’d like to see the rest of the posts, click here). Most of this week’s finds were from last weekend. We had a great time checking out a few estate sales on Saturday and then went to the swap meet on Sunday morning. Now that Phillip got his new job and he and I will finally have weekends off together, I foresee a lot more estate sales and swap meets in the near future! 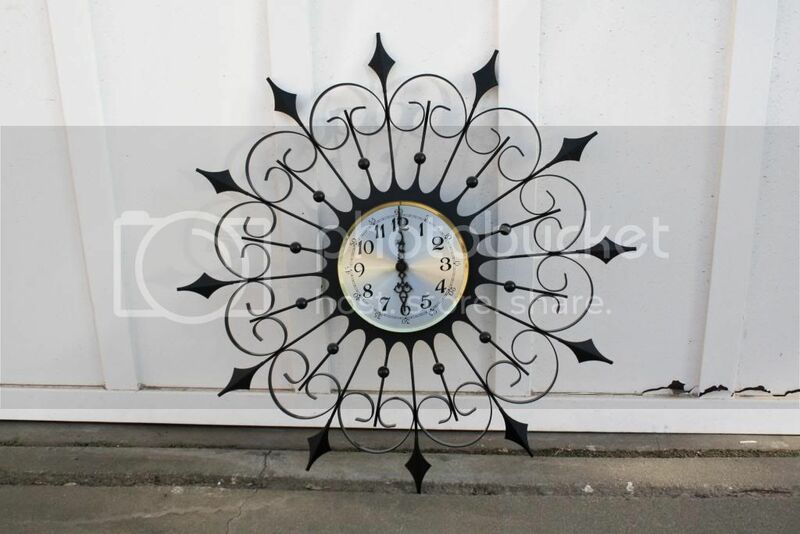 This wrought-iron clock was a whopping $3! It’s not exactly a starburst clock, but we still thought it was pretty cool. 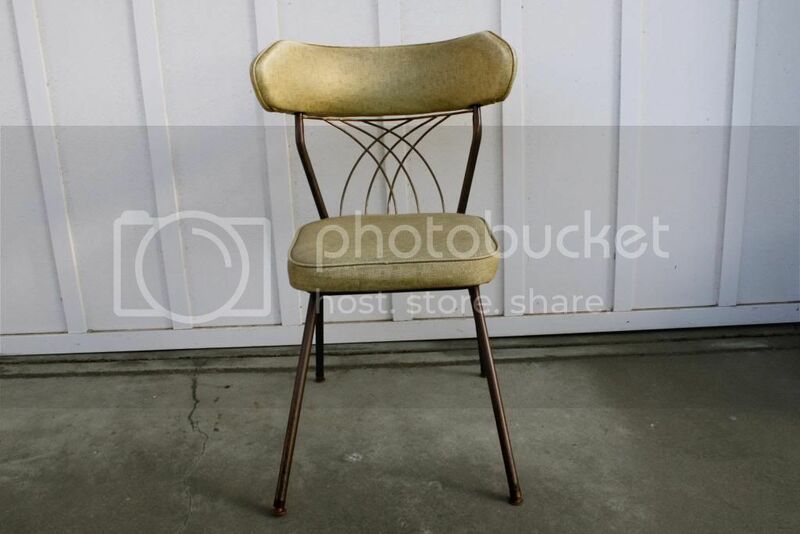 This chair was $2. The vinyl is still in great condition and I love the cool shape of the bars on the back! 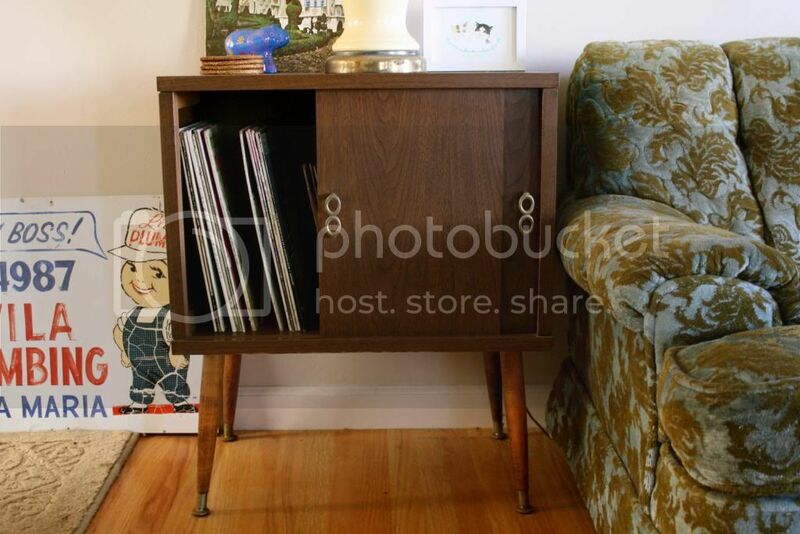 We also got this mid-century record cabinet for $3. It’s not real wood and not the greatest quality, but it’s perfect for our little record collection (I just need to fix my record player!). And below are the things we found at the swap meet. Not a ton of stuff this time, but we always find at least a few good things there when we go and usually at better prices than the thrift stores. 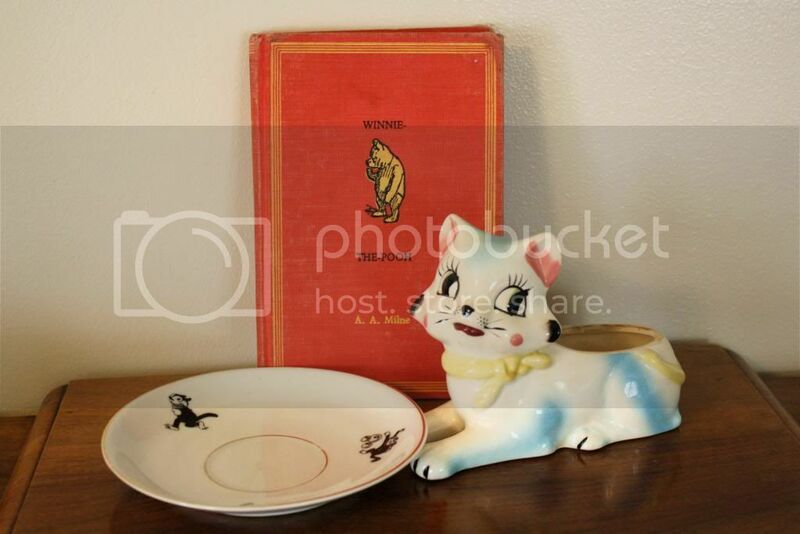 A Winnie the Pooh book from the early 60s, a Disney saucer (from the 1930s!) and this cute little cat planter. 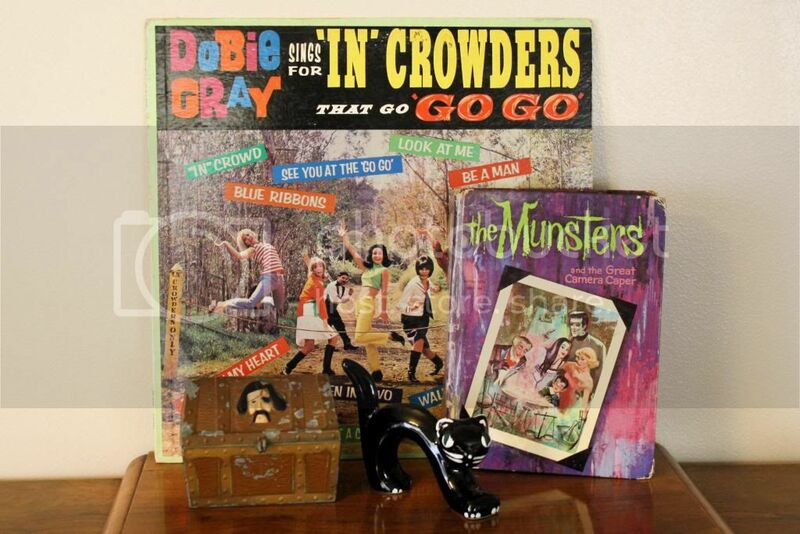 Phillip found this funny go-go record, this Munsters book, and pirate chest box. I got this little black cat for 50 cents I think it’s kinda cute and it reminds me a little of the cat of the Kit-Cat clock. That’s all for this week, thanks for stopping by! As usual, I’ll be linking up at: Apron Thrift Girl, A Living Space, Sir Thrift A Lot, Remnant, and Joyful Treasure Hunting. Head on over and check out everyone’s finds for this week!